Hi there, Disasters! 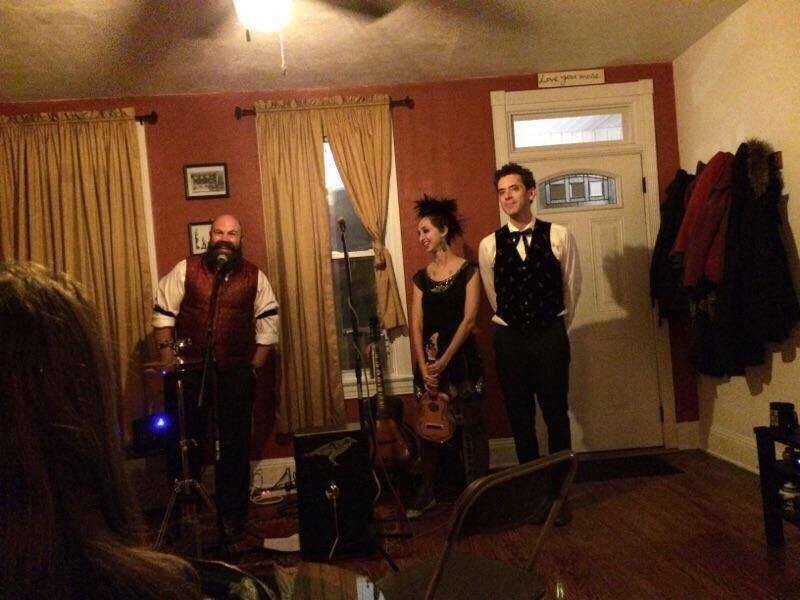 We have been including more and more donation-based house concerts in our touring, because they are simply the best. We're always looking for more house concert hosts, so here's some handy info about what's involved. 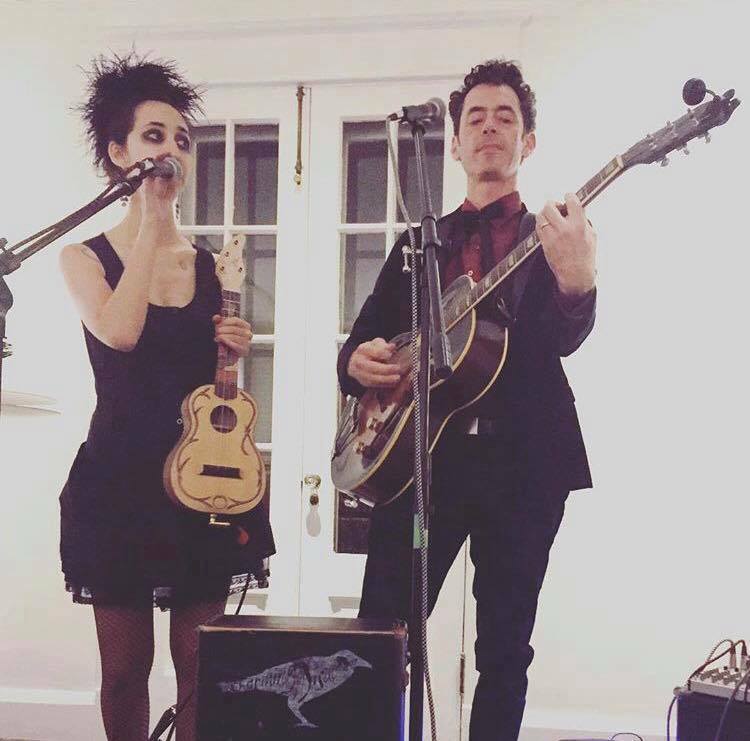 If you're interested in being a house concert host, please drop us a line (or check the appropriate box in our mailing list signup form). We can't wait to hang out in your kitchen eating snacks. Q: What’s all this talk about house concerts, and why would I want to do something like that? If you do partake in alcohol, no need to drive home – you’re already there! A: Nothing. We rely on audience donations to fund the event, so there is no band fee. If you want to provide food or drink for your guests, of course you can, but that’s entirely up to you. Some hosts like to make house concerts a potluck. Q: OK that’s cool, but what kind of space do I need? Not everyone lives in a castle, you know. A: Home spaces work well: living rooms, backyards, basements, haunted libraries, empty swimming pools, etc. If you don’t have an appropriate home space, alternative spaces work too: a community room in an apartment complex, an art gallery or studio, a family crypt, an abandoned firehouse, a secret underground lair, a private train car, you get the idea. Our only requirements are 1) access to electricity (one outlet, via extension cord is fine) and 2) a space where guests can be seated in front of us while we’re playing (no moats, hot coals, or viper pits, please). Q: Do I have to provide some kind of sound system or something? A: Nope, we have a small PA and all the gear we need to present an exciting show to you and your guests. Q: Will there be lots of strangers in my home / castle / lair? A: No. You control who comes to the house concert – you send out the invitations to your own guests. If you wish, you do have the option of making your house concert more “public” – we can extend the invite to other local fans by posting the show as an event on our Facebook page (without your home address) and ask people to RSVP to receive location information. Q: Are you allergic to my cat / dog / snake / ferret / bird of prey? A: No, and we’ve had all of our shots too. Q: You sing songs about crime; will you steal my stuff when you’re here? A: No, that would be tacky and rude! We are classy and polite. We're happy to provide references from past house concert hosts. Q: Is it going to be weird? A: Only in the good ways. Q: OK ThAt all sounds great, how do I sign up to be a house concert host? A: Just drop us a line (or check the appropriate box in our mailing list signup form). We'll be in touch when we start planning our next tour!